Today's idea is to use plaids, stripes, flowered paper and dots as a background. 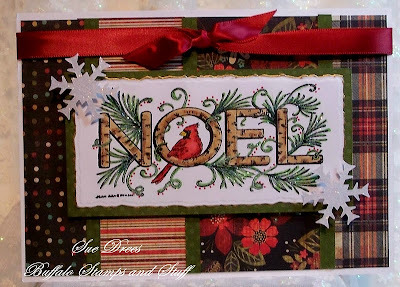 I have used the simple, elegant Christmas stamp by Northwoods for the focal point of my card. 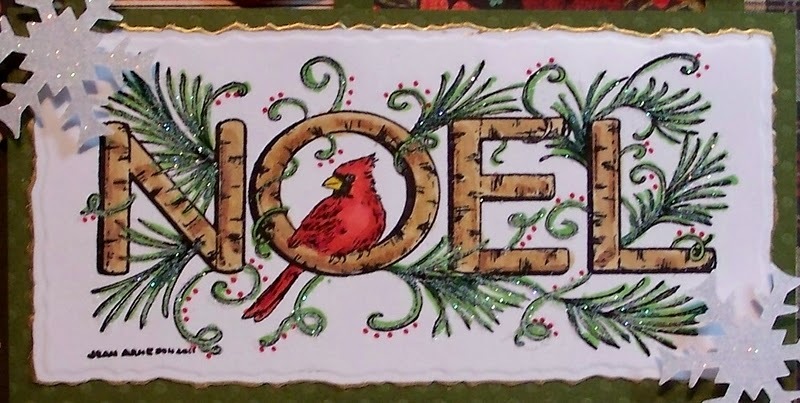 I colored with Copic Markers then cut it out using Spellbinders Large Deckled Mega Rectangles set. Ran a gold Krylon pen along the edges and white glittered the pine needles on the image. I purposely left the background plain so that I could "busy up" the background. For the background, I used four different papers from the Basic Gray Jovial Paper Pad. Dots, Stripes, flowers, and plaid. I cut strips, all different sizes to fit across the card. In between each print, I glued a 1/4 inch strip of green cardstock, and matted the stamped image in the same paper. Snowflakes are from a punch and glittered paper. It's fun to use all different papers to make a background, and this beautiful stamp allows you to do just that. I love this card, it is soooo gorgeous! The image is a perfect CAS and your background is a mixture of gorgeousness ( is that a real word, if not it should be as it so fits your card) :=) Love it. Great idea! You know that I like to use different kinds of papers! I love the redbird. Very pretty Christmas card, Sue, have a great week! Wow, Sue - this is gorgeous! 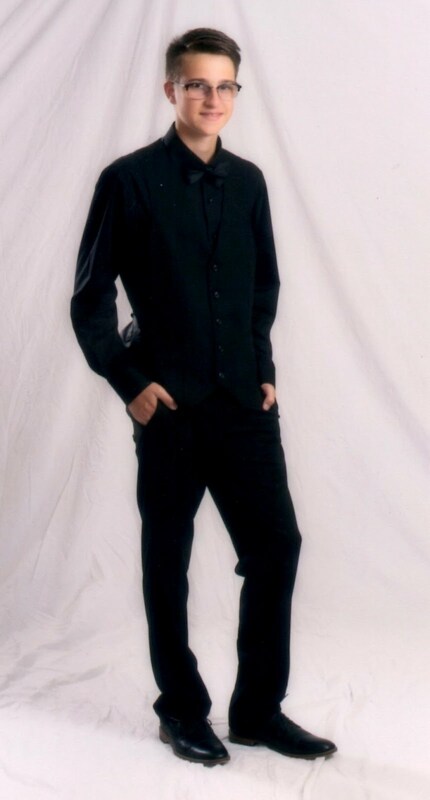 Does not even NEED a background!!! Beautifully done, my friend - have a wonderful week! So beautiful and romantic card Sue. What a scrumptios image Sue! Love that red bird!